Travelpotato.com | Holidays in Kerala Best of Europe!! Curated especially for you!! Arrival at Cochin Airport and transfer to hotel . Check in at Hotel . After noon proceed for Cochin Sightseeing. Visit the Dutch Palace-built by the Portuguese. Evening back to the hotel and overnight. The Cheeyappara Waterfall is on the Kochi - Madurai Highway (National Highway 49), between Neriamangalam and Adimali. It is inIdukki district, Kerala, India. 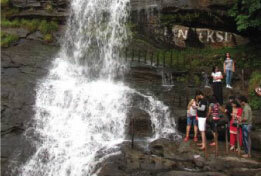 The Cheeyappara Waterfall cascades down in seven steps. This is also a great place for trekking. 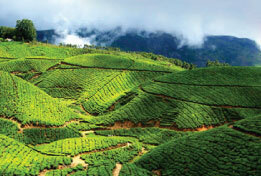 Munnar sightseeing. Morning visit the Mattupetty dam, Echo point and the Kundala Lake. Afternoon visit Eravikulam National Park which is also known as Rajamala, the natural habitat of Nilgiri Thar. Evening free for shopping. Overnight at hotel. Morning after breakfast checkout from the hotel and transfer to Alleppey. Just relax at the luxurious houseboat. It will be a unique and exclusive experience in your lifetime. Dinner and overnight at the houseboat. Check in at Hotel. The warm and clean atmosphere by the coconut trees and the white sandbed are perfect for relaxing holidays, as the seabreeze gently plays with the waves. Relax at the hotel and overnight stay. After breakfast proceed for local sight seeing and over night stay at hotel. 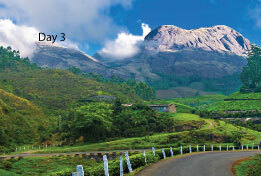 On this day you will depart from Kerala taking with you the journey which you experienced. Kerala is a tropical paradise. A sliver of a coastal state in India's deep south, Kerala is shaped by its layered landscape: almost 600km of glorious Arabian Sea coast and beaches; a languid network of glistening backwaters; and the spice and tea-covered hills of the Western Ghats. Just setting foot on this swathe of soul-quenching, palm-shaded green will slow your subcontinental stride to a blissed-out amble. Kerala is a world away from the frenzy of elsewhere, as if India had passed through the Looking Glass and become an altogether more laid-back place.Besides its famous backwaters, elegant houseboats, ayurvedic treatments and delicately spiced, taste-bud-tingling cuisine, Kerala is home to wild elephants, exotic birds and the odd tiger, while vibrant traditions such as Kathakali plays, temple festivals and snake-boat races frequently bring even the smallest villages to life. 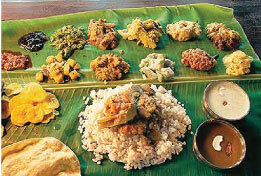 It's hard to deny Kerala's liberal use of the slogan 'God's Own Country'. 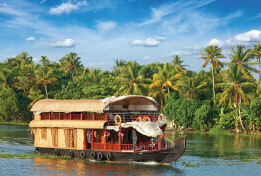 Deluxe Houseboat in Alleppey including all meals. Visit to Meenakshi Temple in Madurai, Visit to Sri Ramanathaswami Temple in Rameshwaram. All Transfers and Sightseeing's in a private vehicle.